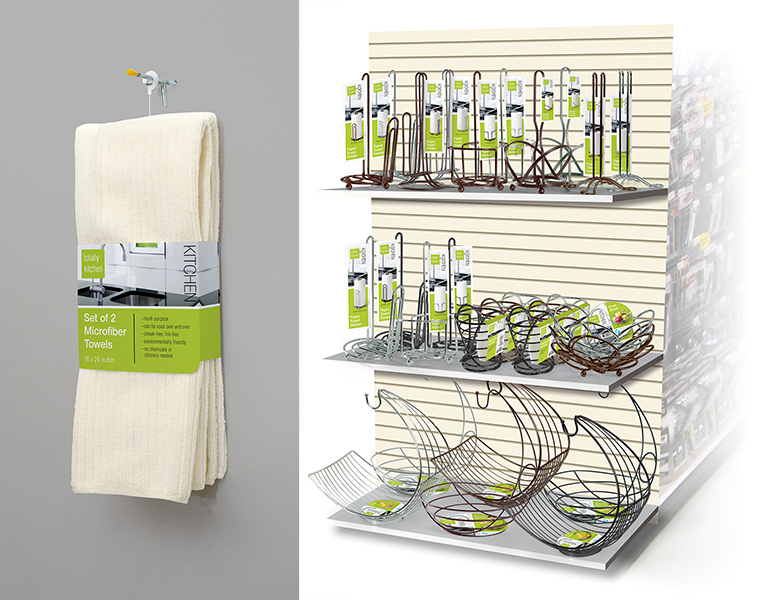 Our modern housewares packaging design establishes Totally Kitchen™ as an up-and-coming brand in this product category. IDP manufacturers products in a variety of colors and finishes. We’ve developed a product photography work flow that enables us to create a range of product photos from a single shot. For IDP’s line of housewares, we’ve established modern, flexible branding system that lets us produce package designs for a large number of product in a short amount of time. This also enables us to create realistic planograms and other convincing display image for proposals.